When I first listened to this track by Femi One, my first reaction was “Eish, where has this Femi One been?”, and then I played it again and again just to confirm what my ears had just been blessed with. I can now confidently confirm to you that the Femi One we all loved is back, hopefully for a long time. After months and possibly years of fading away from the rap scene and releasing lackluster commercial hits (because Kaka Empire signed her to make money), Femi One on Tuesday reminded her fans why they fell in love with her in the first place with a classic hip-hop project titled ‘Hiyo One’. In ‘Hiyo One’, Femi One plays to her full strengths; bars on bars, metaphors, witty wordplay, humor, and heavy punchlines. Her strengths are undoubtedly not in basic radio tracks like ‘Tippy Toe’, ‘Luku Luku’ or the more recent ‘Tembe’. It’s no wonder that her day-one fans, who had high hopes when rapper King Kaka signed her up, had begun worrying that Femi One was not living up to her full potential. 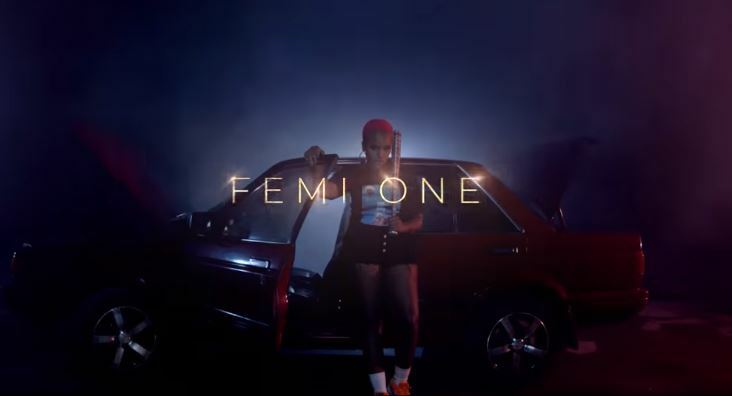 Femi One has always been a rapper, a formidable one for that matter, so you can imagine the joy in her fans when they finally got a taste of the Shikow Femi One who got hip-hop tongues wagging in 2013-14. ‘Hiyo One’s banging audio is produced by Prvke + The Other Guys while the crisp video is directed by Ricky Bekko of Big Dreams Films. She read our minds; ‘Hiyo One’ is a timely reminder that there’s only one Femi One and everyone, especially other rappers, should put some respek on her name. The only bad thing about this track is that it is only 2 minutes short. Here’s to hoping there will be a remix, perhaps with Khaligraph Jones. Watch ‘Hiyo One’ below and enjoy. Hivyo ndio inafaa, mchawi amerudi. Rating 9/10.